The beehive is internally structured like a book, as inspired by a design from 1788 by the Swiss entomologist Francis Huber, in order to make it easy to open the hive for inspections and for filming the activity of the bees inside the nest. Each page consists of a wooden frame covered by an aluminium casing and mounted on dry-lubricated sliders. Bees spontaneously build honeycomb structures on the frame. Each wooden frame is enhanced with microphones which pick up the vibrations and sounds of the hive. They are sonified and made audible helping to monitor the health and development of the bee colony. Cameras inside the hive monitor the growth of the wax structures and the activity of bees. Additional sensors measure temperature, humidity, and other microclimate measures. 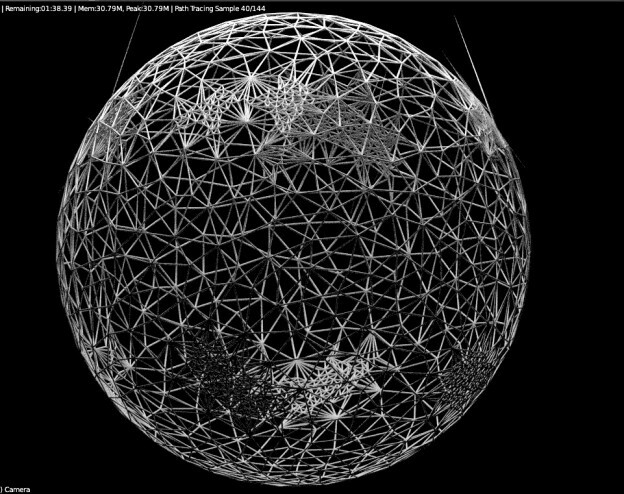 Data is treated by sensory processing, pattern recognition and AI algorithms and visualized using sophisticated computer graphics algorithms in order to make the state of the colony tangible. 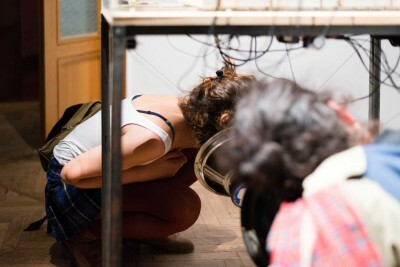 Sound is an important aspect of the Transparent Beehive sculpture. The microphones inside the beehive monitor continuously the colony’s buzz. 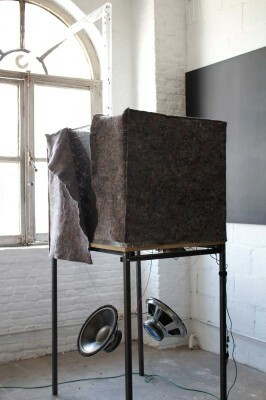 When the sculpture is shown without a living bee colony, the Transparent beehive sound file is played. It is an elaboration of the field recordings made in the broodnest of the Transparent Beehive for a complete season, starting with recordings on june 21st, the longest day / shortest night, and edited into a 15 minutes-piece using Max/MSP. The increase and decrease of swarm activity in the hive and its influence on the buzzing sound produced by the colony is the main thread for the transformation of the recordings. I thus use natural phenomena as musical tools and, in retrospect, musical tools as an artistic rendition or analysis of natural phenomena. 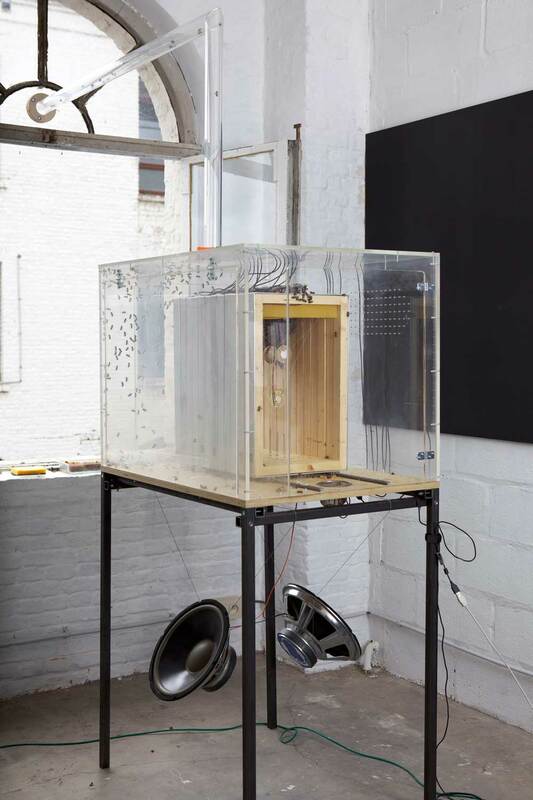 The audio work embodies the bee swarm intersected simultaneously with swirling electronic sound clusters. 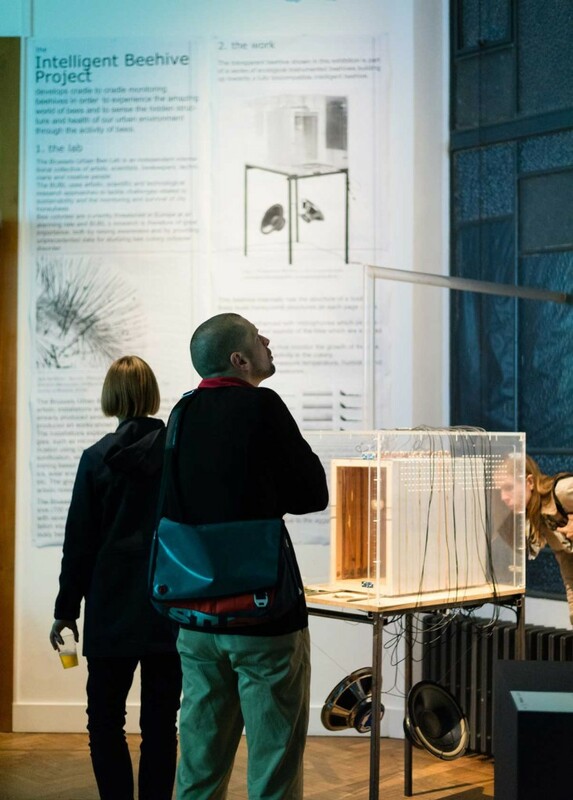 The Transparent Beehive is a living sculpture, part of a series of ecological instrumented beehives leading towards a fully biocompatible intelligent beehive. The Transparent Beehive allows the Brussels Urban Bee Laboratory to study the tight interaction between city honeybees and urban ecosystems, using artistic research practices and in collaboration with scientists. My preoccupations with bees come partly from a fascination with these amazing insects: Bees exhibit very original solutions to the challenges that social insects face, e.g. on the level of communication and collective decision making. They are an endless source of visually stunning images and sounds and their remarkable collective behavior provides inspiration and metaphors for the functioning of human society. I have also another motivation. In many industrialised nations, bee colonies are now threatened. There are many causes – amongst them pesticides and parasites – but the compromised state of the foraging areas for bees is just as worrisome. So I work also towards an improvement of the environment of bees with the creation of urban gardens and guerilla planting and I use bees as bio-indicators to make citizens aware of the increasingly negative effects of our life styles and methods of industrial production. The Transparent Beehive, the movie. The hive -housing a live colony- was shown in situ in Brussels during a complete Bee Season. By introducing the microphones inside the beehive, we have been developing a monitoring device that is based upon the continuous monitoring of the colony’s buzz: a non-intrusive scanning device for controlling the colony’s health & development. We also have been adding video monitoring (outside and inside), which gives us a full spectrum of possibilities for colony monitoring and environmental surveillance. As bio indicators, honeybees provide us with a constant stream of information on the environment on which they forage, via their daily activity, and via the pollen and nectar they harvest. Diseases like colony collapse disorder and environmental problems like the use of pesticides could be analysed in a different way by monitoring the colonies with audio and video tools, and by analysing their daily activity over multiple years. The sound on the uploaded Transparent Beehive video is an elaboration of the field recordings made in the broodnest of the Transparent Beehive. The sound-behaviour of the bee colony was recorded for a complete season. For the sound of the uploaded video we started to work with the recordings from june 21st, the longest day / shortest night, and we edited them into a 15 minutes-piece on which some processing was done with Max/MSP. As a compositional principle different ideas around swarm formation were investigated. 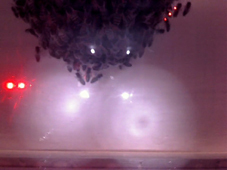 The increase and decrease of swarm activity in the hive and its influence on its sound, became a guideline for the transformation of the recordings. Using natural phenomena as musical tools and, in retrospect, using musical tools as an artistic rendition or analysis for natural phenomena. The audio work tries to embody the bee swarm while simultaneously intersecting the swarm with swirling electronic sound clusters. The soundpiece by AnneMarie Maes and Billy Bultheel exists both as a Stereo and as an 8 channel audio work, and was broadcasted recently by Kunstradio Vienna. 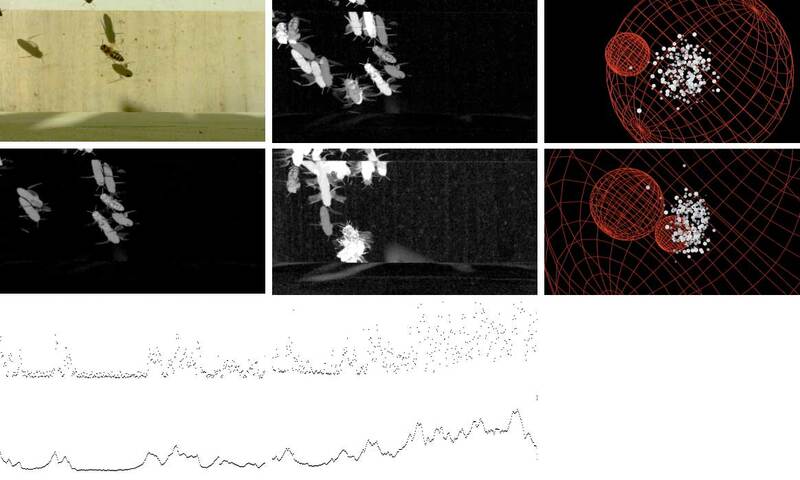 For the analysis of the soundfiles (pattern recognition and machine learning) we collaborate with the AI laboratorium of the Free University Brussels, where Prof. B. De Boer specialises in bio-acoustics. 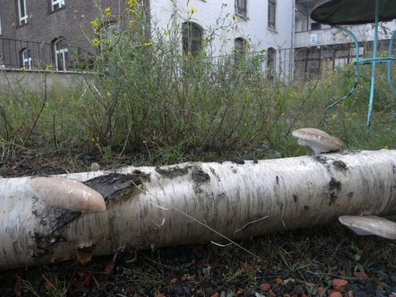 New media artist Annemarie Maes is the founding director of the Brussels Urban Bee Lab [BUBL]. She has for decades been a recognized leader pioneering art-science projects in Belgium, using highly original ways to bring out hidden structures in nature by constructing original technological methods to probe the living world and by translating that in artistic creations through sonification, visualization, sculptures, large-scale long-term installations, and workshops. She thus makes use of technological mediation to search for new forms of communication with the natural world. In 2004 Annemie Maes co-founded the artist collective OKNO which has been active on the border between new media and ecology and using DIY and collective artist practices to find new ways to engage with the urban environment. In 2009 she founded the Brussels Urban Bee Lab as a spin-off from OKNO. It focuses on urban bee colonies as a vehicle for novel artistic practices to raise ecological awareness. The Brussels Urban Bee Lab [BUBL] is an independent international collective of artists, scientists, beekeepers, technicians and creative people. BUBL uses artistic, scientific and technological research approaches to tackle challenges related to sustainability and the monitoring and survival of city honeybees. Bee colonies are currently threatened in Europe at an alarming rate and BUBL’s research is therefore of great importance, both by raising awareness and by providing unprecedented data for studying bee colony collapse disorder. 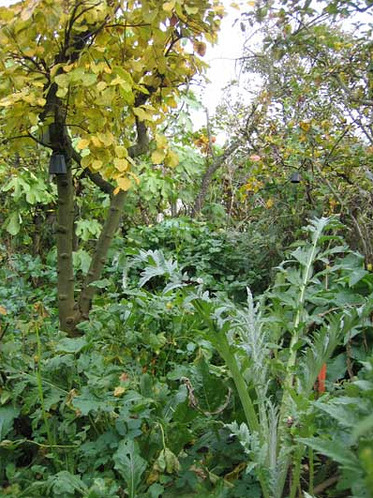 The Brussels Urban Bee Lab operates mainly through artistic installations and workshops. The group has produced several very original beehives and produced art works shown in international exhibitions. The installations explore highly experimental technologies, such as microbial fuel cells, digital and organic fabrication using OpenStructures, biomimicry, spatialised sonification, web-based continuous data streaming, data mining based on Artificial Intelligence, organic electronics, solar energy for powering low-energy computing, etc. The group collaborates with several universities and a network of artistic research centers throughout Europe. This entry was posted in and tagged art/science collaboration, artificial intelligence, ecology and biodiversity, intelligent beehives, technology/tools on 17/01/2016 by admin. This entry was posted in urban corridors as social sculptures and tagged ecology and biodiversity, media ecology, rooftop garden, urban agriculture on 13/03/2011 by admin. This entry was posted in politics of change and tagged ecology and biodiversity, festival on 19/03/2009 by admin. Barefoot College has changed a lot compared to 36 years ago when we started. What is applicable in Tilonia – its overall vision – can be replicated anywhere else. In this country and abroad, but it needs a change of mindsets. We are organized in a disorganized way. We have small committees for different topics. We have the housing committee, the water committee, the salary committee. Salaries can go up and down, depending on your performance. You have also the possibility to evaluate yourself. Poverty, teamwork, gender are all issues coming into play for evaluation. Points are added up, but nobody can get more than 100 U$. This entry was posted in and tagged ecology and biodiversity, solar/photovoltaic, women empowerment on 26/07/2008 by admin. This entry was posted in politics of change and tagged ecology and biodiversity, solar/photovoltaic, women empowerment on 01/06/2008 by admin.